Bradley Austin was born and raised in Columbia, Maryland. His culinary career officially began at the Culinary Institute of America in Hyde Park, NY in 2001. Shortly after graduating, Bradley moved to San Diego where he spent 3 years working under Chef Jeff Jackson at A.R. Valentien in The Lodge at Torrey Pines. Over the next 10 years Bradley spent time working at restaurants in California, Colorado and Florida. Then, Chef Bradley returned to San Diego to join the management team at Tender Greens. He worked as sous chef at the original Point Loma location and then opened the downtown location as the executive chef. 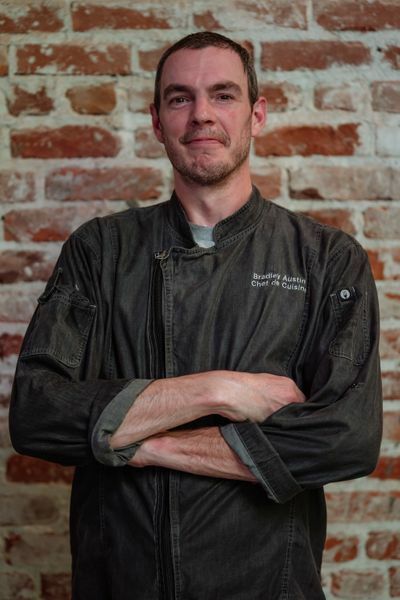 He then spent 2 years at Chef Richard Blais’ Juniper and Ivy before joining the team at Parq Restaurant and Nightclub.